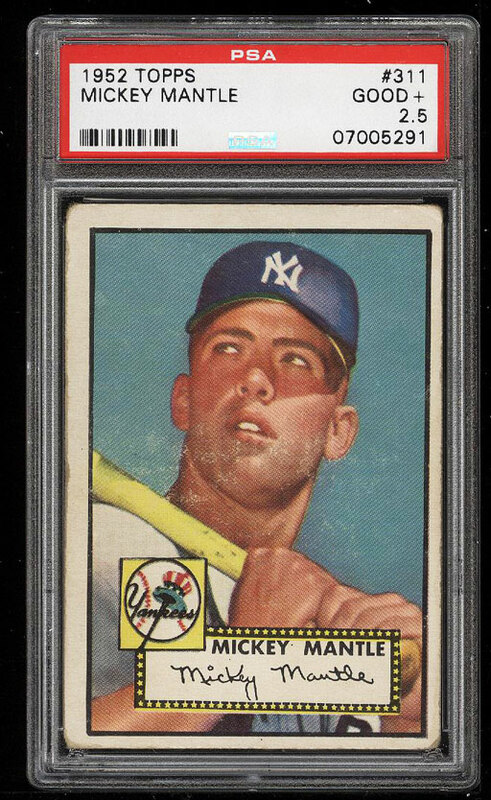 Wonderfully preserved '52 Topps Mantle with color and clarity which exceeds the technical grade. Boasts mostly clean borders with attractive edges and card stock for the assessment. 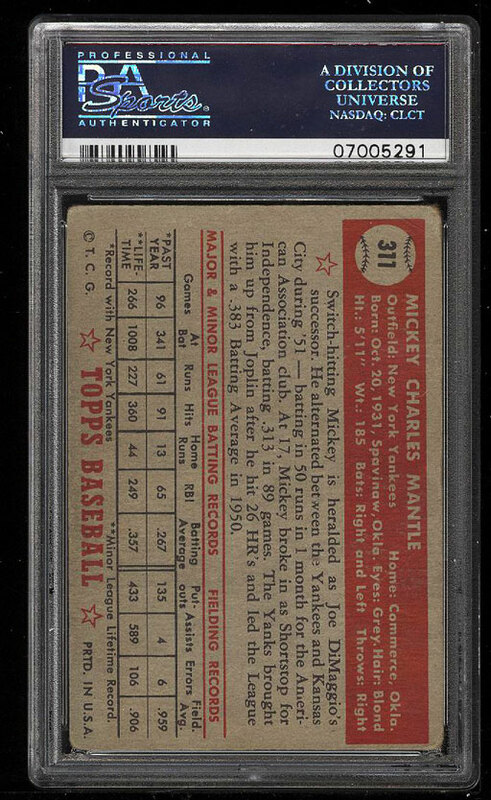 Mantle is among the all-time great New York Yankees and is perhaps the most collected player in the hobby. A blue-chip investment commodity which commands attention. One of over 12,000 cards, lots and sets up for bid in our 11th Auction of 2017. Click on the link above to view the other PWCC auction lots.